For the last forty years the Heimlich maneuver has been synonymous with the abdominal thrust procedure for saving someone from choking. This method is named after a surgeon from Cincinnati named Dr. Henry Heimlich who apparently published this idea in an essay in the Emergency Medicine journal in June, 1974. Over the years this maneuver has been used to save the lives of many people who were choking. But did you know that Dr. Heimlich never actually used the maneuver to save someone from choking until just a few weeks ago at the age of 96? He was apparently having dinner at his retirement home when a woman nearby began chocking and for the first time he used the Heimlich maneuver to save the life of this 87 year old woman. Notice that Paul begins with the words we were. He doesn’t say they are, but we were. We were foolish, we were disobedient and so on. 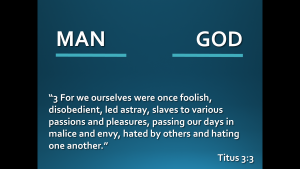 He is describing himself and Titus, and all followers of Christ, before we became followers of Christ. This helps us identify ourselves with those around us who do not know Christ and reminds us of who we are without grace. And then we see one of the most wonderful words in all of Scripture. The word “but.” That word carries with it a whole lot of implication. Paul says this is who we were, but then Christ came into the picture. And he connects the word “but” with the goodness and loving kindness of God. He points out all of the stuff about who we used to be and then the word “but” is there because God loves mankind so much and he is so good that he worked redemptively for us by sending Jesus. 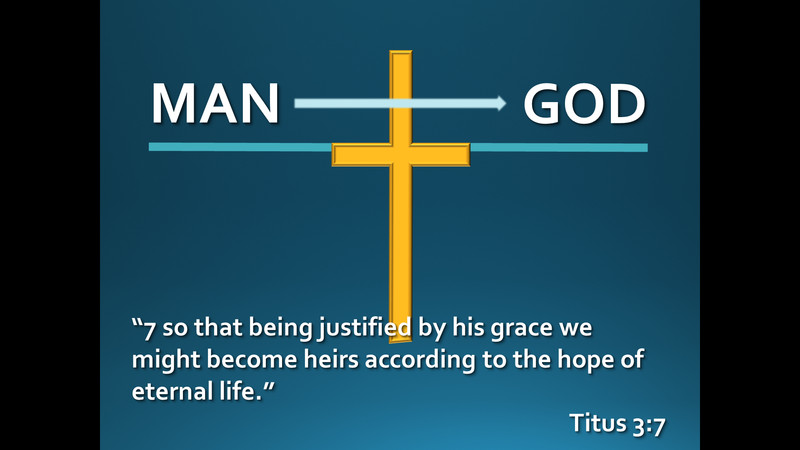 Then Paul points out that we are saved not by what we do, but by what has been done for us. We could never earn salvation. We could never have been good enough on our own. Actually without Christ we were enemies of God, going our own way, as if he didn’t even exist. But God saved us, because of his mercy. God rescued us from sin, from guilt, from death, from hell, but he also saved us from being separated from him. We were created to live in fellowship with God. Sin messed that up, but through Christ God restored the opportunity for that relationship to be restored. 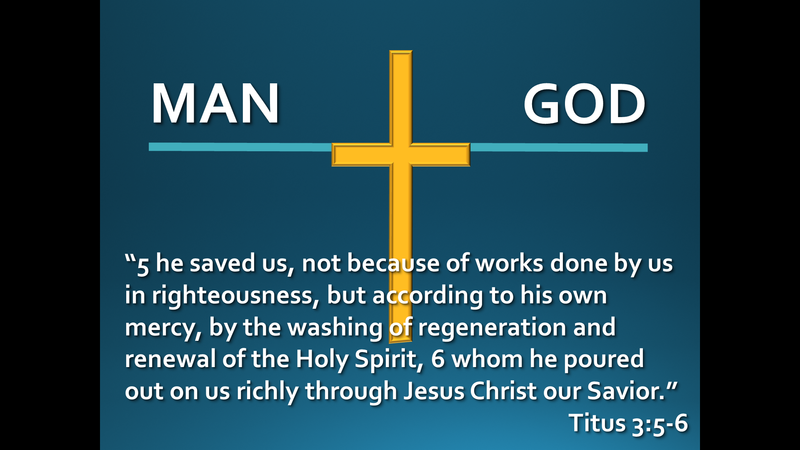 Paul points out that we are saved through the washing of regeneration and renewal of the Holy Spirit. That’s kind of confusing, so lets break it down. 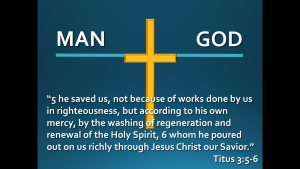 We were unclean because of our sin, and that separated us from God, so we needed to be washed. But that washing is combined with regeneration and renewal. The word regeneration basically means rebirth. It implies something that was old being reborn. Renewal refers to being made new. The Holy spirit washes our sins away and gives us new life in Christ. This is not something we could ever have done in our own lives. We cannot wash ourselves from sin. We cannot give birth to a new nature in us. We need to have this done for us. And that is what the Holy Spirit does. It is also beautiful to see that phrase poured out on us richly. That gives us the image of a generous God who is lavishing us with his love, kindness, and mercy. He is not being stingy. He is not holding back. He is not treating us as our sins deserve or giving us just a little bit of grace, he pours out this amazing grace on our lives. And then in verse 7 Paul brings in the word justified. This is a legal term that basically means to be declared righteous. It is as if we are standing in a courtroom awaiting a guilty verdict that we deserve and the judge declares us not guilty. 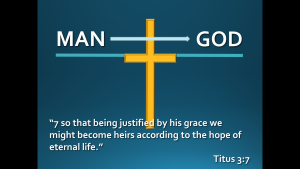 One of the things that happens in our lives through the work of Christ is that his sacrifice covers our sins, so that when God looks at us, rather than seeing our sin, he sees Christ’s righteousness and we are declared justified in his sight. We also become heirs who are welcomed in to the family of God and are given the inheritance of eternity with him in Heaven. So when we talk about Christ our Savior, this is what we are referring to. Jesus died on the cross in order for us to be saved. And make no doubt about it, we needed rescuing. We could not save ourselves. Christ is our Savior. Way back in the beginning with Adam and Eve, God created things good and perfect. We even get the sense from the book of Genesis that God walked with man in the Garden. 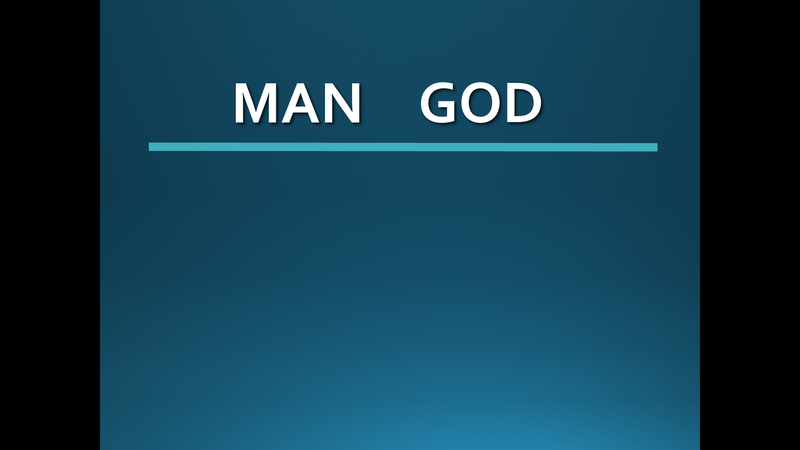 God created man to live forever in fellowship with him. created. 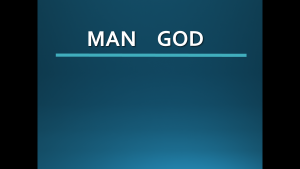 And man was separated from God. Like verse 3 said, we were going our own way, astray from God, slaves to sin separated from God. And as we know from Romans 6:23, the wages of sin is death. We were faced with an eternity of separation from God. But god loved us so much that he sent us a Savior. 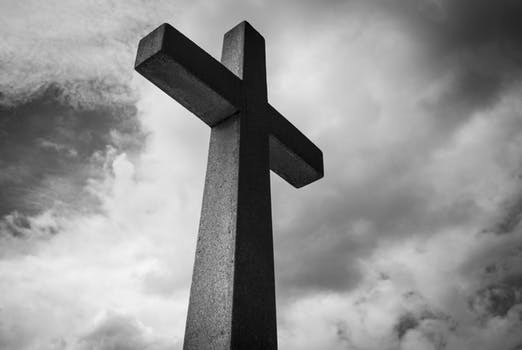 Jesus died on the cross, so that our sins could be washed away, we could be declared righteous, and we could be made new, brought back to a right relationship with God and given the hope of eternal life.